Dona Antónia Ferreira lived in turbulent times. She was born in 1811, the year in which Napoleon’s troops finally retreated from Portugal. When she inherited her grandfather’s wine business, another enemy came: the phylloxera epidemic. 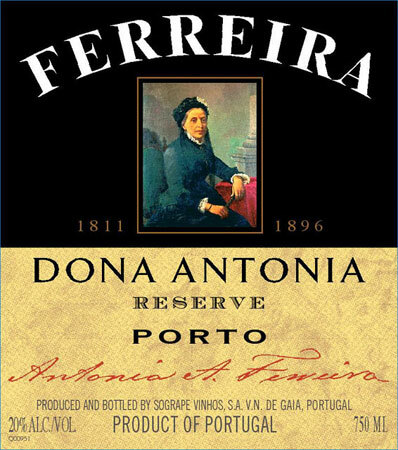 Dona Antónia hired thousands of workers to graft her vines into the roots of American vines resistant to the pest. And it worked! She went on to produce great port wines, plant new vineyards, and make a fortune. She used some of her wealth to endow schools and hospitals, earning the nickname Ferreirinha (little Ferreira) for her generosity. In 1987, her descendants sold her company to Sogrape, another wine maker. But the brand Casa Ferreirinha endures as a symbol of quality. So, if you see a Ferreirinha bottle in your wine shop, take it home. And make a toast to Dona Antónia who believed that one can plant the seeds of prosperity during hard times.